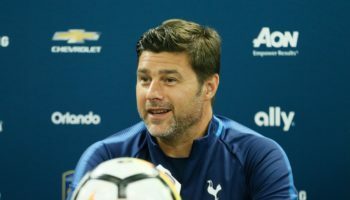 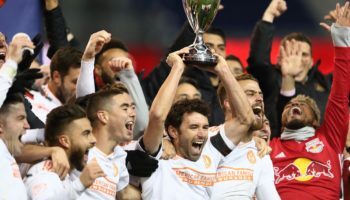 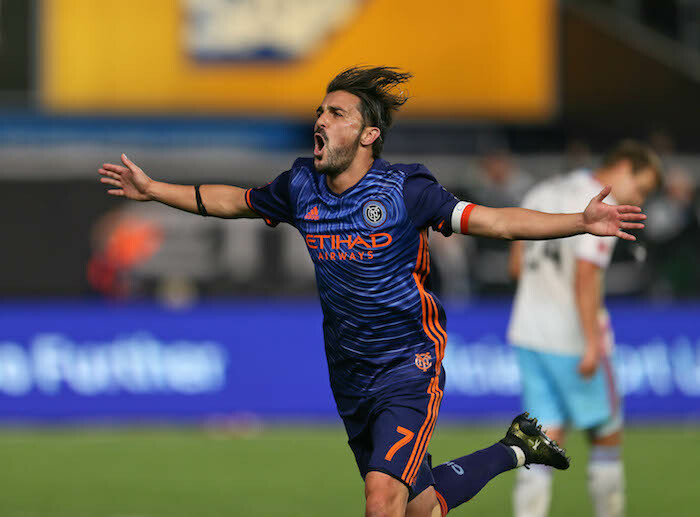 As manager Patrick Vieira and captain David Villa said in an address to their fans at the end of the today’s game, the job isn’t done for New York City Football Club – but what a job they’ve already done during its second season in existence. 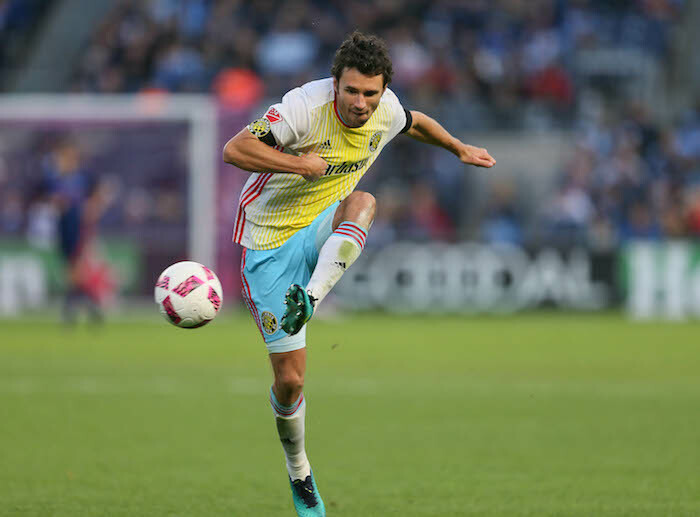 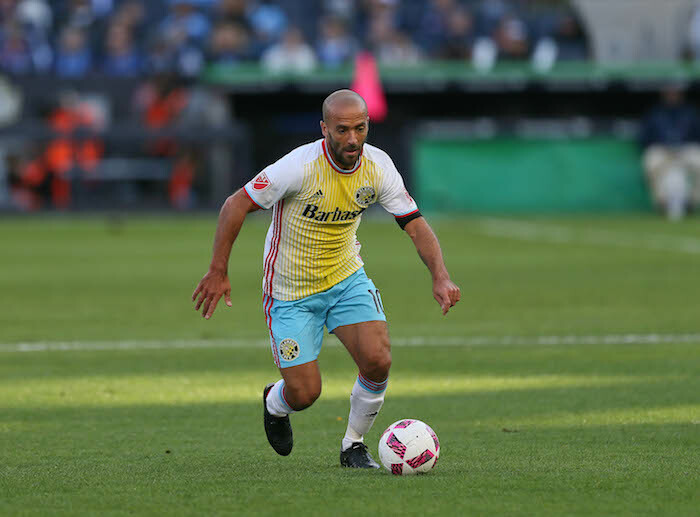 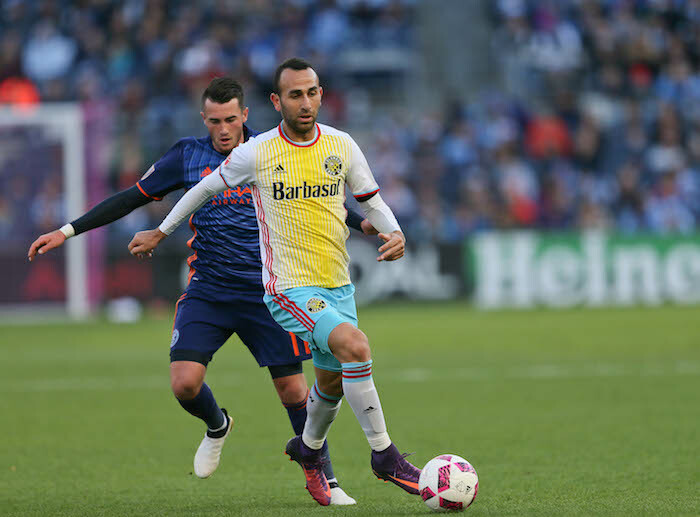 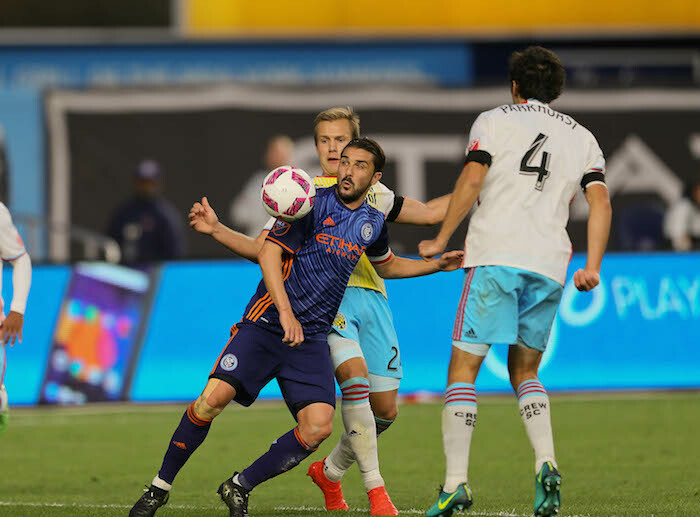 Capping off one of the biggest turnarounds this season, NYCFC clinched a first-round bye in the upcoming MLS Playoffs with a 4-1 victory over Columbus Crew SC in the regular-season finale at Yankee Stadium on Sunday evening. 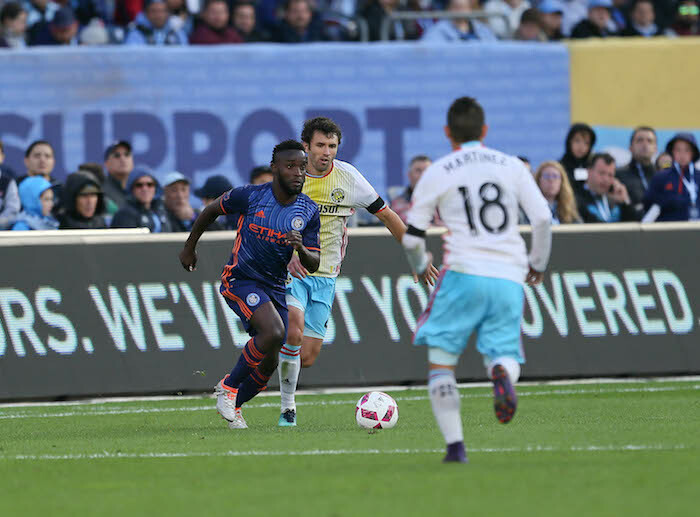 Needing a win to secure that bye, NYCFC, who increased its point total by 17 points from its inaugural season of 2015, was faced with the daunting prospect of losing out on finishing in the top two of the Eastern Conference – and losing the first-round bye that goes with it – when Columbus’s Ola Kamara scored on a header in the 59th minute to tie the game at 1-1. 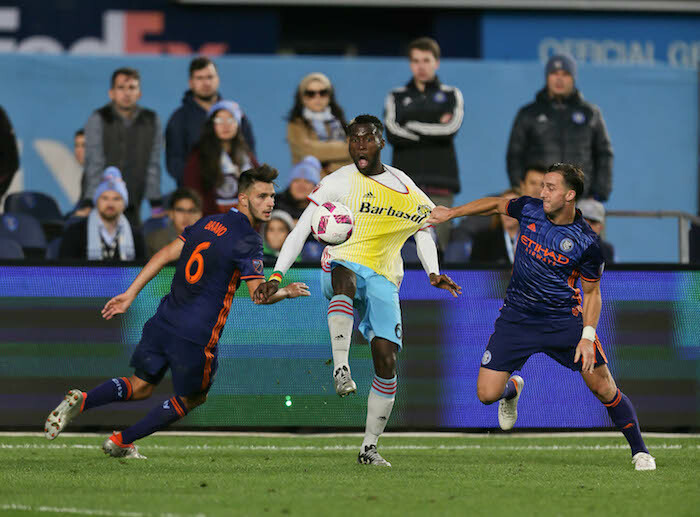 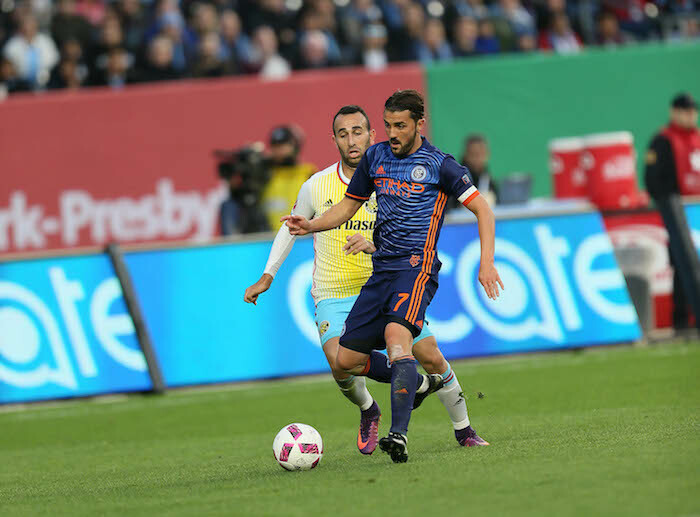 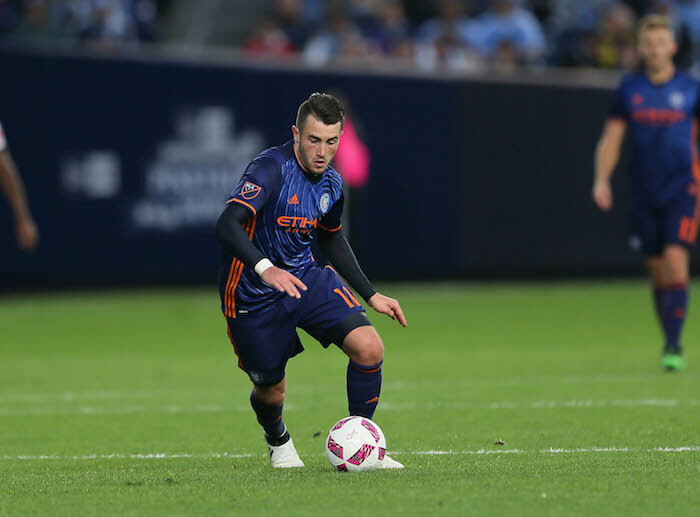 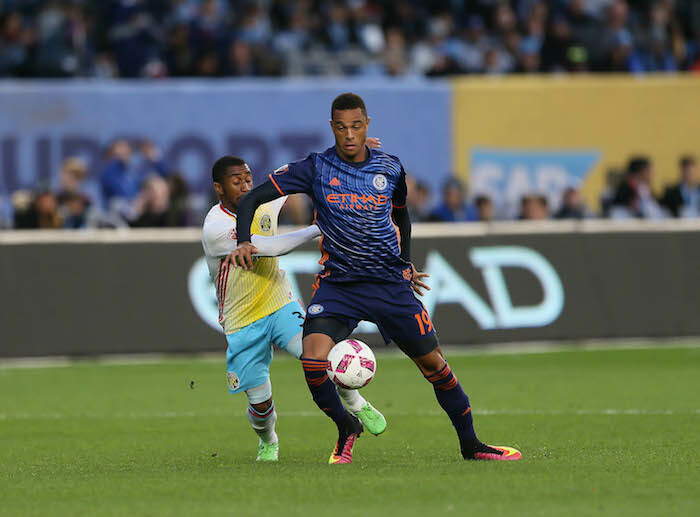 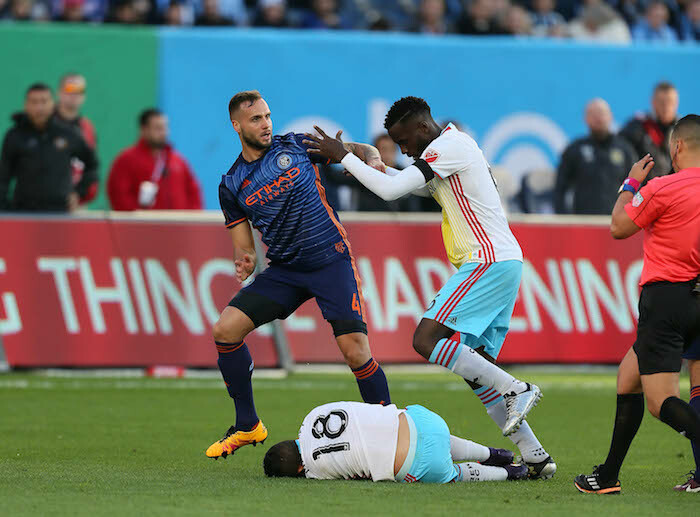 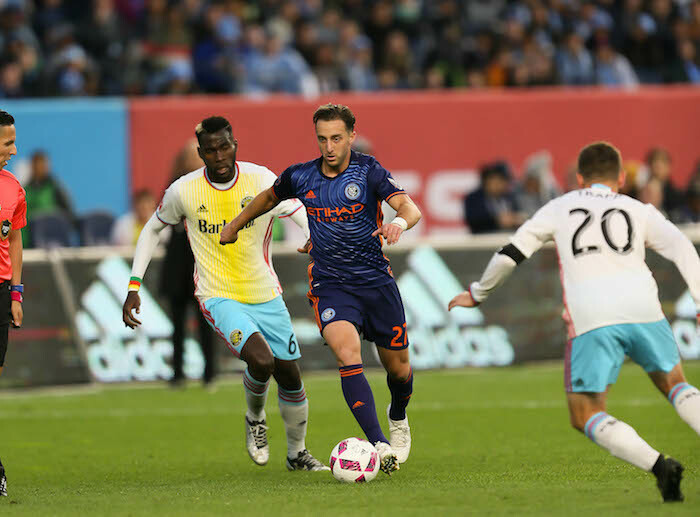 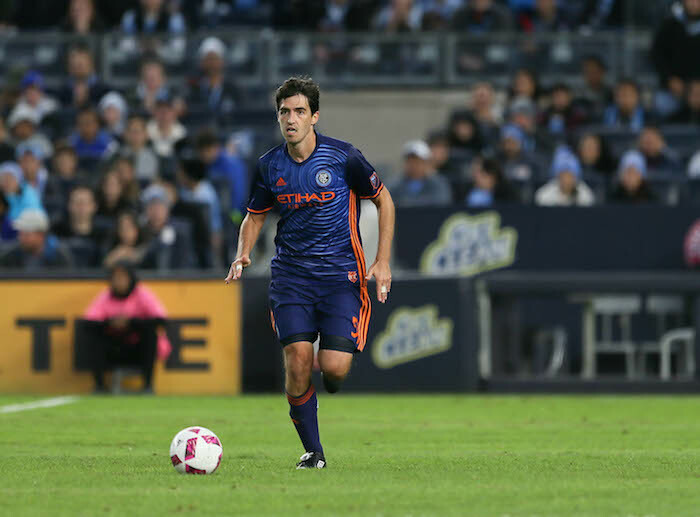 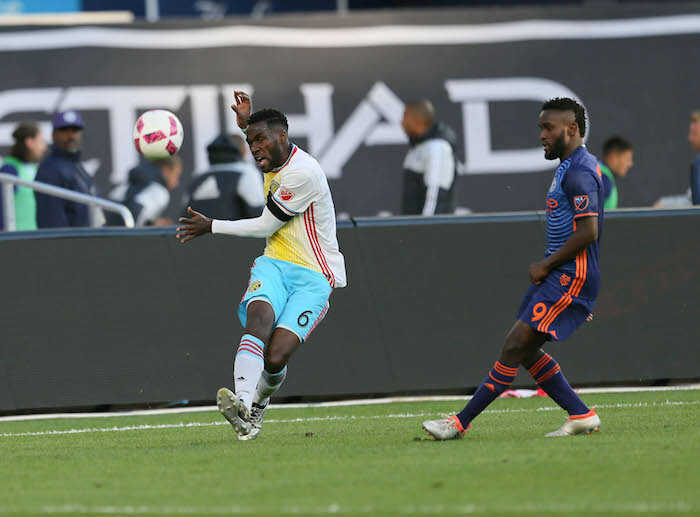 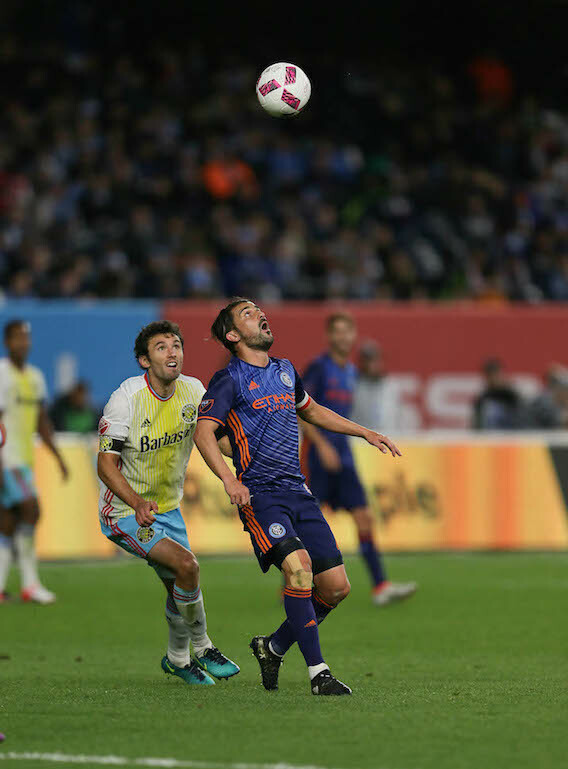 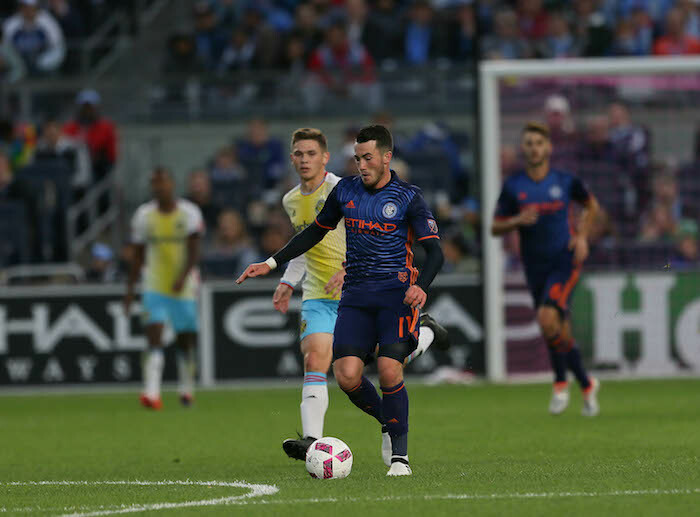 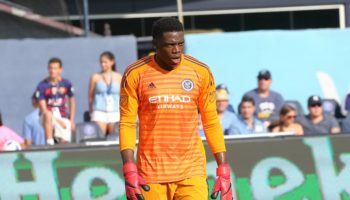 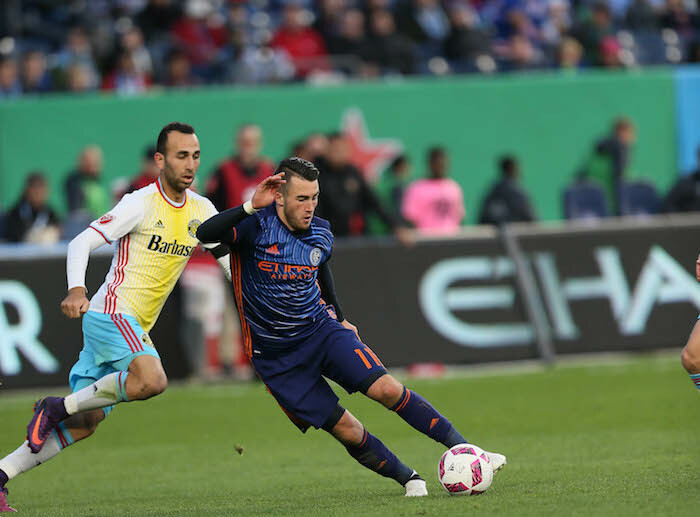 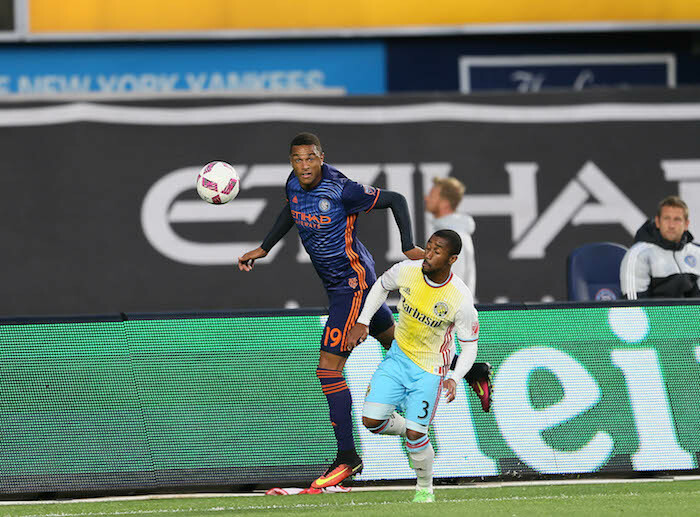 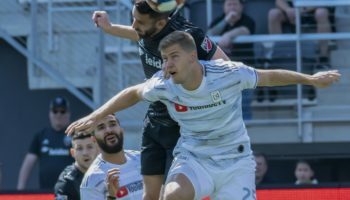 Unlike last season, NYCFC responded to adversity the way like a champion, as Jack Harrison and substitute Khiry Shelton scored within two minutes of each other to put the Big Apple squad back in command. 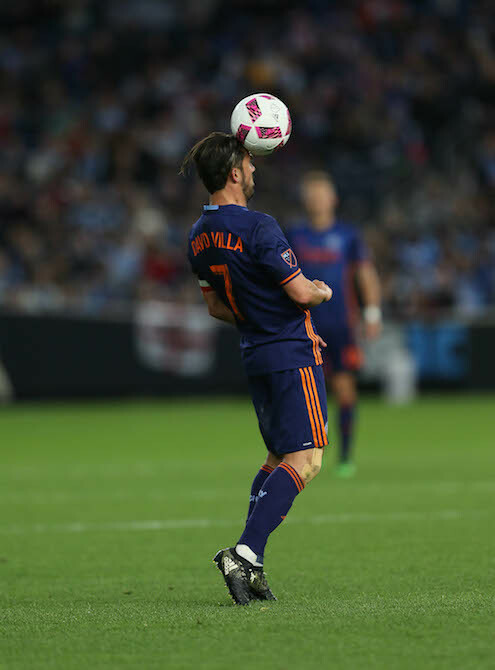 In stoppage time, Villa scored a spectacular long-range goal to put a bow on the proceedings. 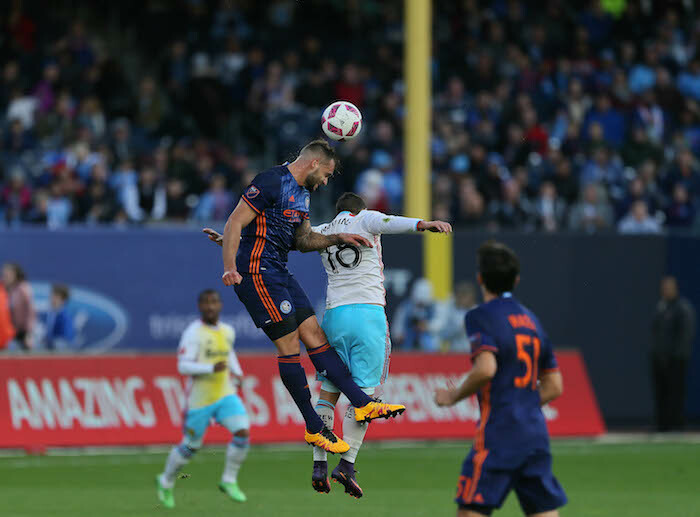 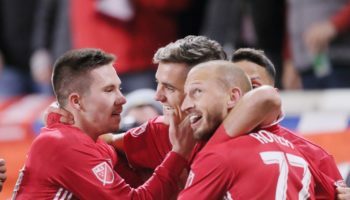 NYCFC finished the regular season campaign in second place in the Eastern Conference with 54 points, and will play next on Sunday Oct. 30 in the first leg of the Eastern Conference semifinals. 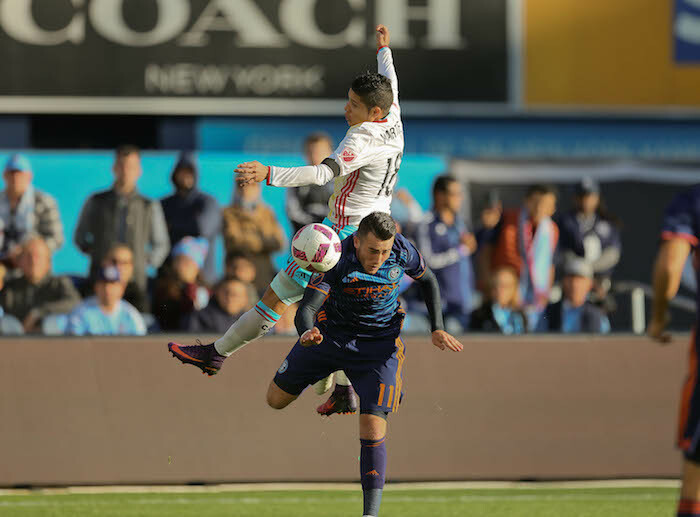 The second leg will take place on Nov. 6 at Yankee Stadium. 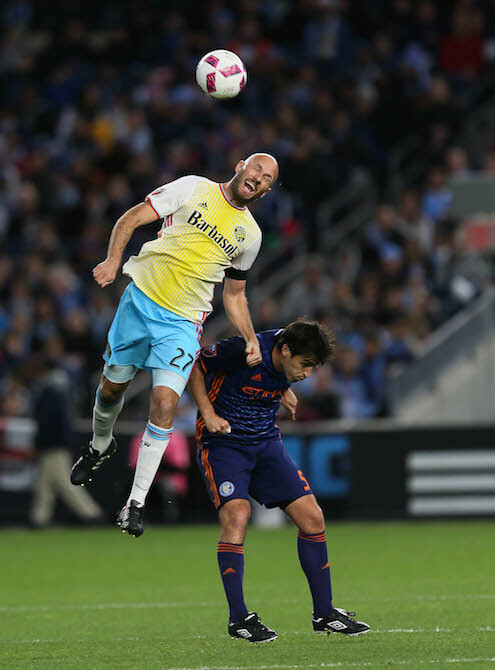 There are 30 photos in this gallery, and, after clicking on one to enlarge, make sure to press the left and right arrow buttons to scroll through the rest of the pictures.